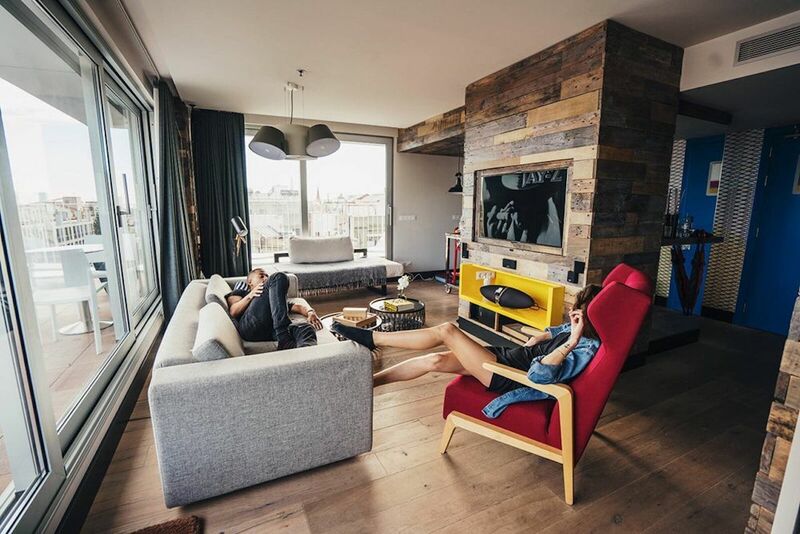 Whether you opt for a luxury hotel that wakes you up with yoga and an elaborate brunch, or you prefer to cozy up in a small Airbnb in the heart of the city, you’ll find a massive variety of accommodation options in Barcelona, each with its own personality and style. There are so many excellent spots for all budget ranges in nearly every neighborhood of Barcelona that it’s almost impossible to go wrong. But if you’re having trouble deciding, here are some of the coolest places to stay the night in. Generator Hostel — If the Sagrada Familia is at the top of your to-do list, your best bet is to stay nearby so you can get there before the intense lines begin. Generator Hostel is part of a chain known for its hip style and wild party scene. If you’re on a budget but don’t want to compromise location, this hostel is a great option — plus the beds are super comfy. Factory Gardens Hostel — For those less into all-night ragers, Factory Gardens has ultra-chill vibes. 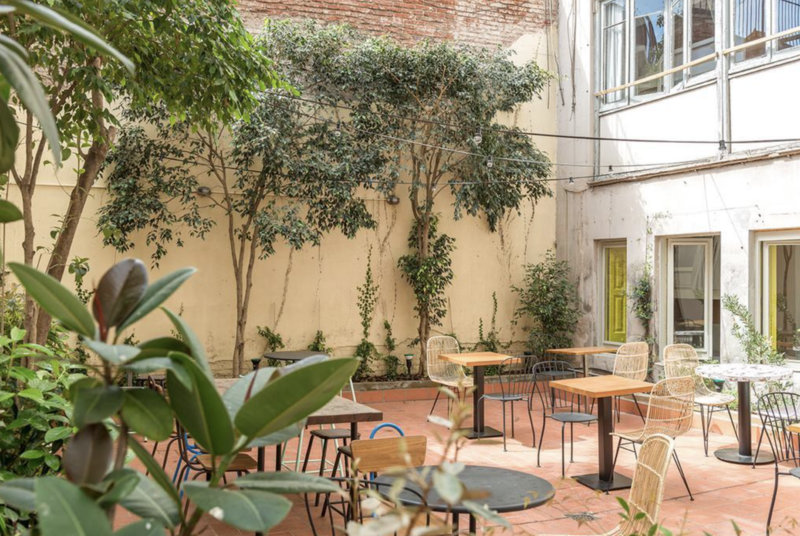 Located right around the corner from Gaudí’s Casa Milà, this sleek hostel is decorated with lots of greenery indoors and features a garden that can act as an oasis from the busy city. It also has private rooms, if you’re really looking for a sense of peace and quiet. 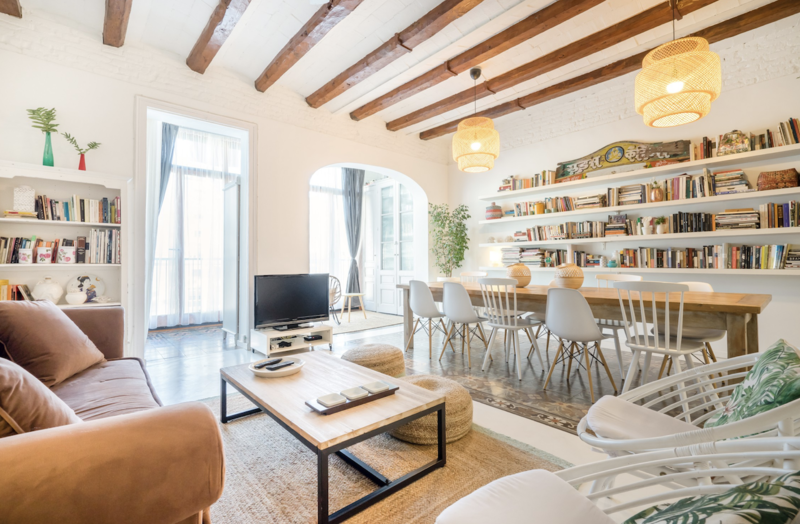 Casa Kessler — For that boutique hotel charm on a budget, stay at the Casa Kessler hostel in a charming Art Nouveau building in trendy Eixample. The hostel only has 10 rooms and a private apartment, making it a more intimate accommodation than most jam-packed dorms. 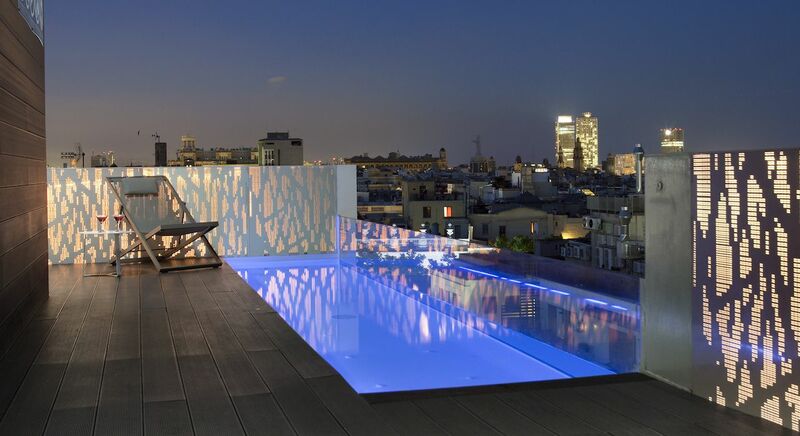 Hotel Gaudí — This is one of the most affordable places to stay near Las Ramblas, and you’ll be a stone’s throw away from just about every major tourist attraction you could want. The architecture and interior design is inspired by Gaudí’s eclectic works, but the real highlight is the freedom you’ll have to walk to and from your hotel late at night. 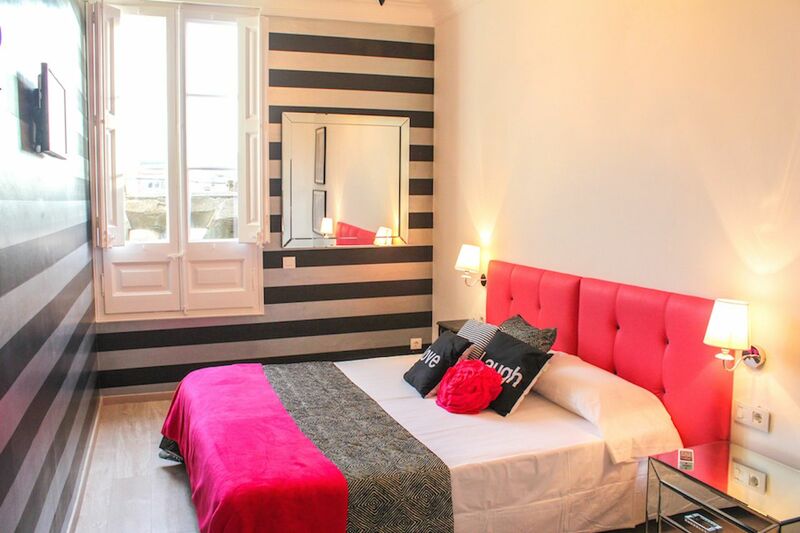 Hotel Denit — Hotel Denit is a quaint boutique hotel in the Gothic Quarter that’s focused on providing authentic experiences for its guests, as opposed to just a bed and a breakfast (which is free, by the way). 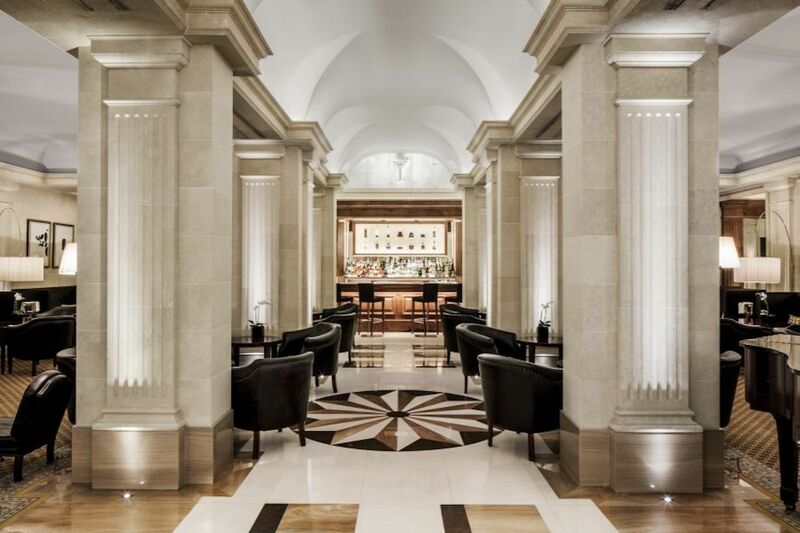 The staff here will recommend itineraries based on your interests, from a modernist route through Raval to a gastronomic journey around various markets and food boutiques. 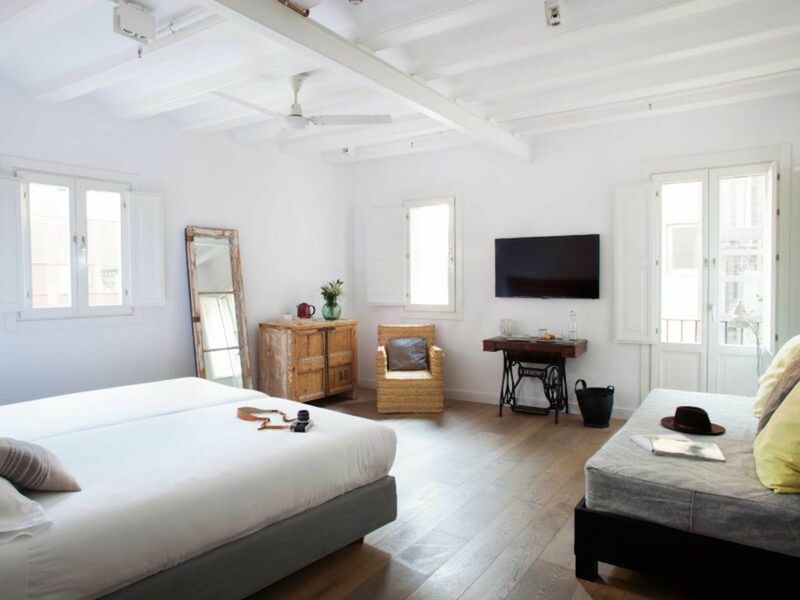 Casa Gràcia — You’ll feel like a real local staying at Casa Gràcia, which offers activities that even neighborhood regulars sign up for, such as yoga classes, stand-up comedy shows, and a tapas crawl that promises to only go to local haunts. 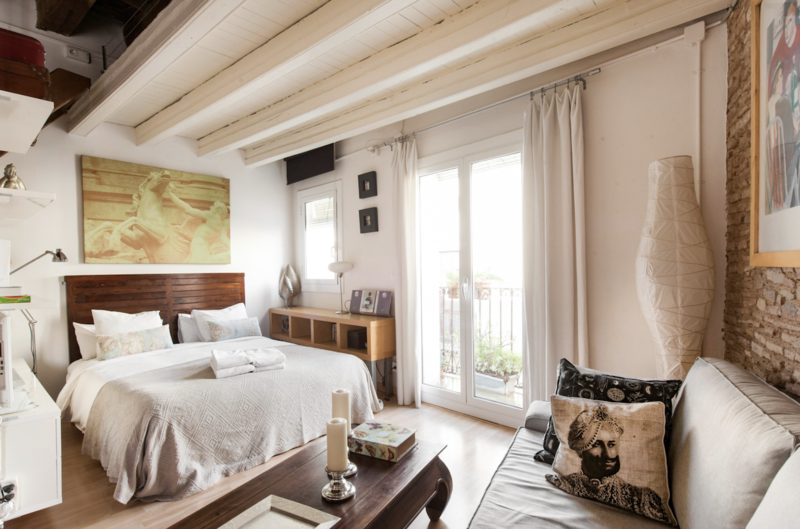 As for the rooms, Casa Gràcia is homey and upscale, with many rooms offering balcony views. Its public areas also look straight out of an Anthropologie catalog, with hammocks, succulents in coffee mugs on vintage tables, and a cozy library with plush armchairs. Hostal Grau — Traveling is not one of the most sustainable activities out there, but at Hostal Grau, you’ll be able to sleep with a sound conscience. 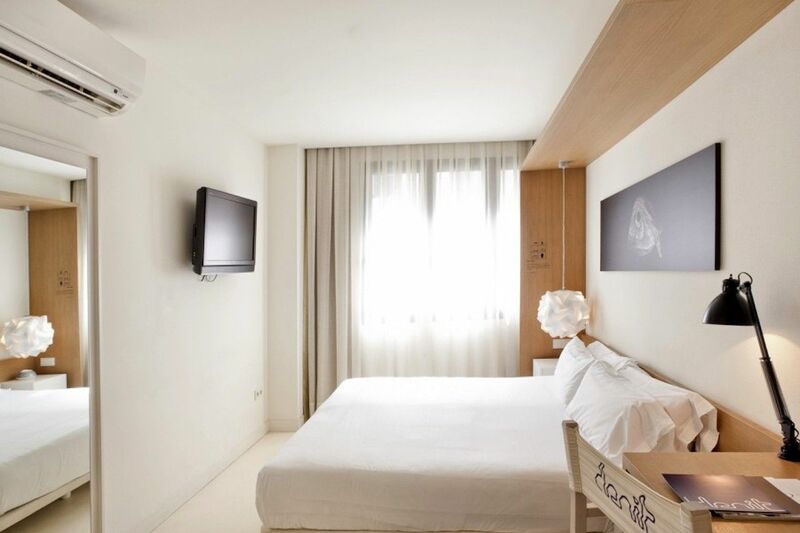 The boutique eco-hotel is a breath of fresh air with spacious rooms, light wood finishings, and tons of greenery. The hotel has efficient water and lighting practices, stocks natural bath products, and eliminates waste whenever possible. Hostal Grau also rents bicycles and partners with a taxi company that uses hybrid vehicles, for day trips. 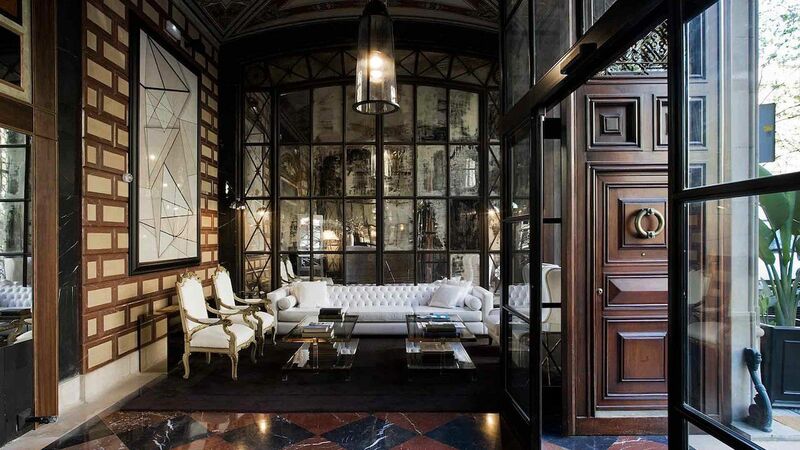 Majestic Hotel — This is one of the chicest hotels in town, located in the Eixample neighborhood and surrounded by designer boutiques. The opulent atmosphere will appeal to the high-end traveler, but if penthouse pools and king-sized beds aren’t enough, the hotel organizes James Bond-worthy experiences, like riding a Ferrari around the Catalan countryside. Cotton House — For the affluent traveler who still craves a hip, youthful experience, Cotton House is the best of both worlds. The historic building was once the headquarters of Cotton House Manufacturers, and the hotel retains many industrial touches. Ascend the spiral staircase to your airy, modernist room, or keep climbing to the outdoor rooftop pool. 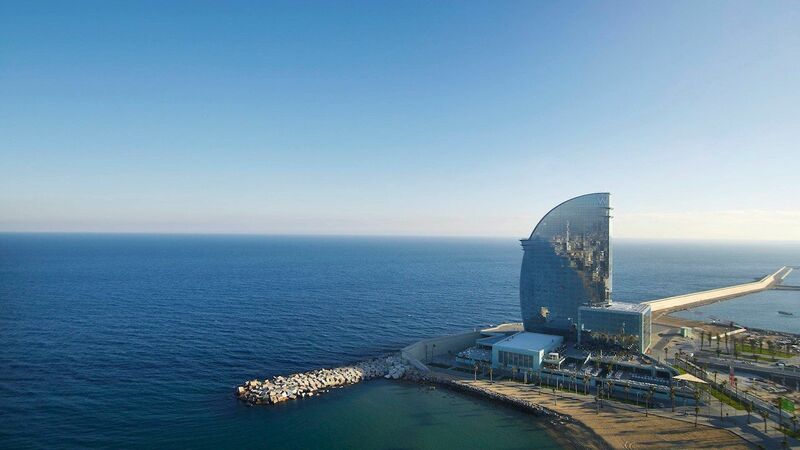 W Barcelona — You won’t be at the center of the action at the W, but we think the ocean view more than makes up for it. This beachside hotel along the Barceloneta boardwalk has a reflective, sail-like design, and features many waterfront amenities. Lounge out on the sundeck with a cocktail in hand, take a dip in an infinity pool overlooking the ocean, or escape the sun’s heat in your own private cabana on the beach. Loft-style studio in Old Barcelona — Perfect for the picky solo traveler or a couple seeking privacy, this tiny loft is in a 130-year-old building in Sant Pere, and includes a full kitchen and living area. Parc de la Ciutadella is nearby if you want to squeeze in an early morning jog. Exquisite apartment with open spaces and light — You could host a whole dinner party if you wanted to at this massive apartment, which features a huge communal dining table and an open-concept kitchen. With three sizable bedrooms, this Eixample apartment is also a great option if you’re traveling with a group that treasures personal space. 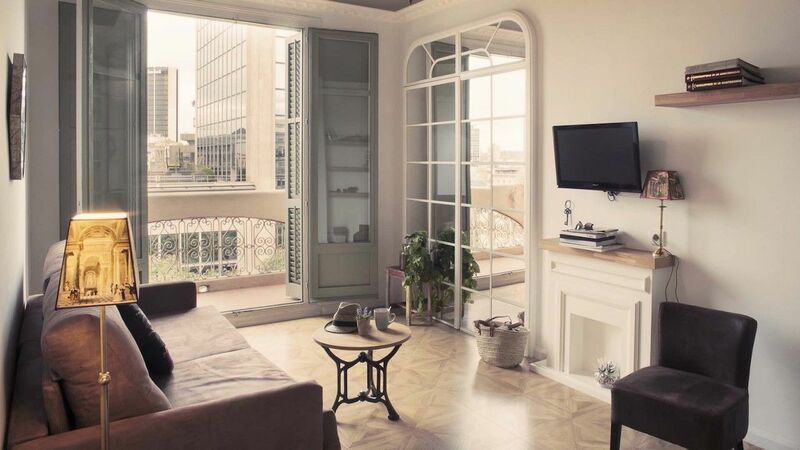 Amazing penthouse apartment near Park Güell — Gaudí-heads will want to stay as close to Park Güell as possible to get the perfect photo from the hilltop viewpoint before the crowds descend. 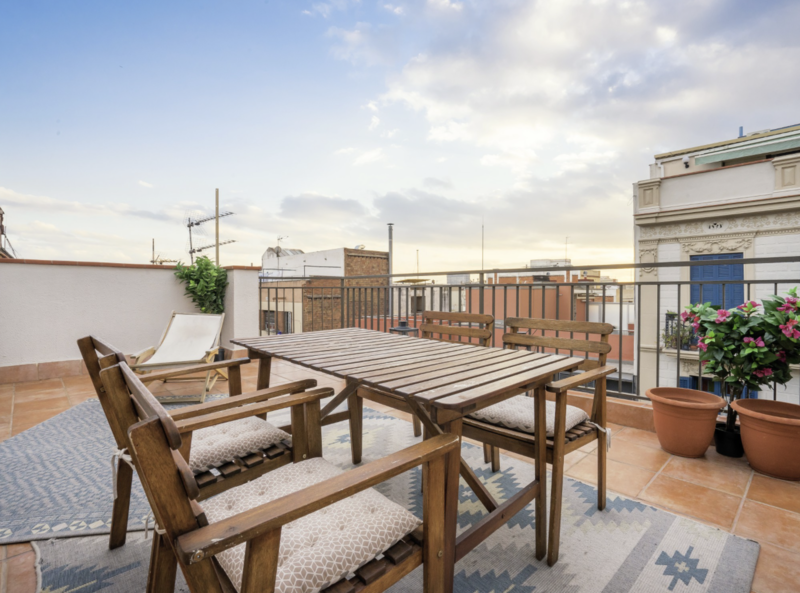 This small penthouse apartment nearby is fairly affordable and includes a rooftop dining area with epic views of Gràcia.